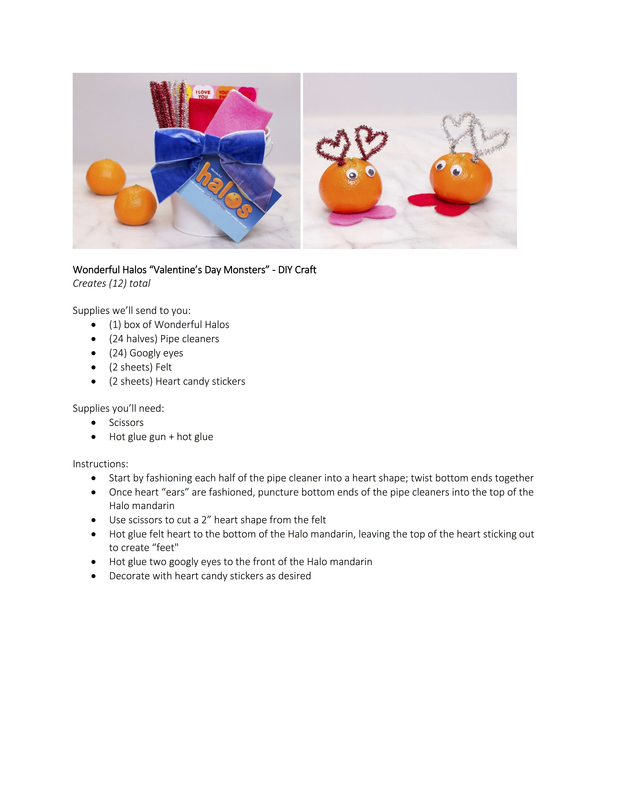 *Halos provided the supplies to make these adorable Valentine’s Day Monsters. All crafting is my own. Actually that of my daughter and a couple of her friends! All opinion is my own. Ah Valentine’s Day… yet another candy-dominated holiday right after a string of holidays filled with candy and sweet treats. They are just the most perfect, portable, healthy little snack! And did you know they are non-GMO Project Verified? Pretty awesome! This craft is super easy. Don’t you think these would make the CUTEST classroom Valentine?! Or how about a fun Valentine’s Day activity with the family? Can you guess the age of my crafters? Valentine’s Day crafting isn’t just for 1st graders… our creative genii for this snow day were all 16! My daughter with friends Truman & Henry. Nothing like a bucket full of felt, googly eyes, paper filler, pipe cleaners, and some heart candy stickers on a snow day before Valentine’s Day! You only need a handful of supplies. Here’s the list & instruction sheet. You can even simply click on the link below to download it! Wonderful Halos is America’s best-selling mandarin brand, recently named the No. 1 most-loved healthy snack among both parents and kids, according to a 2018 Brand Love™ study. Bursting with Pure Goodness®, Halos mandarins are sweet, seedless and easy to peel – Mother Nature’s perfect snack. Even better, they are grown and hand-picked fresh from our orchards – tree-to-table, and non-GMO Project Verified making them the perfect portable, convenient, and healthy snack both kids and adults can enjoy. The kid-sized fruit is available in produce aisles nationwide at grocery, mass and club retailers (November – May). To learn more about Halos and the Wonderful company… visit this link right here! *If you like these cute Valentine’s Day Monsters, you might like my DIY Lip and Moustache Lollipop Valentines, here. Or you can check out my Pinterest board dedicated to ALL things Valentine’s Day right here for more inspiration!